OK...I know I promised ages ago for pics of last week to be uploaded, here they finally are. Got to rush off for the ZA8FC meeting for planning on the Kenduri Roti Canai on 10/10. Nothing much to say. Some interesting developements for Nikki, but can't reveal anything here. 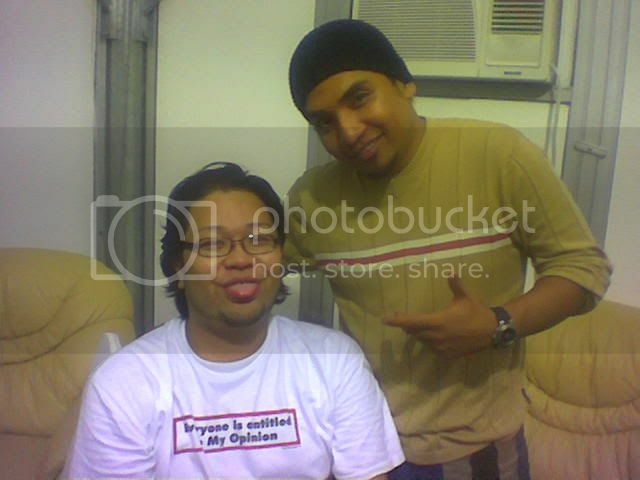 As for Zahid, esok ada press conference for him. MKLand is organising a Parti Roti Canai for him, which has nothing to do with our official function. It's more thier self-indulgent thingie just cause they've booked him for a show. 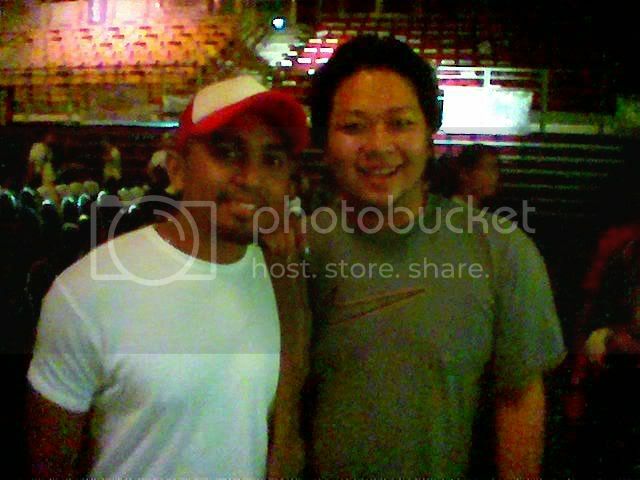 Yours truly and Glenn Fredly at the Anugerah Era 2004 rehearsals last Friday night. He is SO charismatic! Latest pics with the Orange one from last week before the show at Central Market. A pic Nikki passed me during a photo shoot with a magazine before she got eliminated as well as another I took during her Lot 10 meet the fans session before elimination.